She is your one and only. Doesnt she deserve an equally singular bouquet? This charming, heartfelt arrangement puts a feminine spin on classic red roses by mixing in elegant red and pink tulips. 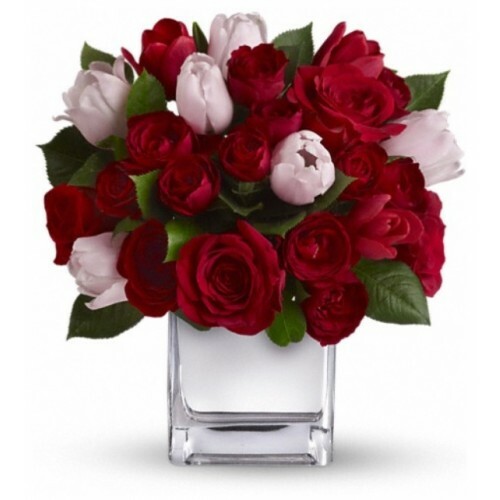 Presented in our modern Mirrored Silver Cube, it's a uniquely stunning selection for any day you want to pamper your special one.This unique bouquet mixes large red roses and red spray roses with pink and red tulips. 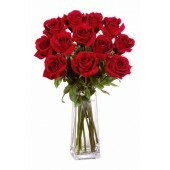 The flowers are delivered in our exclusive Mirrored Silver Cube vase.